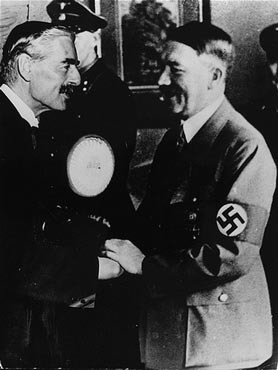 “I believe it is peace in our time” declared Neville Chamberlain September 30 1938. The English Prime Minister had just surrendered to Hitler’s demand that a region of (then named) Czechoslovakia be “given back” to Germany. 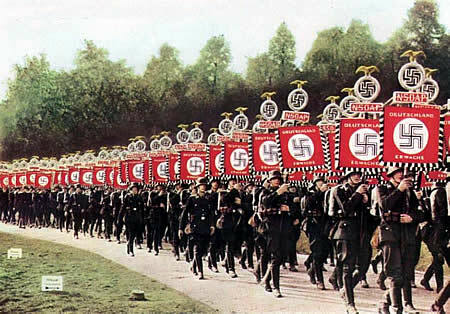 Hitler was gifted with the Sudetenland the same year by the notorious Munich Agreement. The Allies were rewarded with World War Two. As evidenced by Chamberlain’s appeasement of fascism there can be no reasonable understanding or accommodation, since within such systems there is a rigidity of ideology that excludes the acceptance of principles such as mutuality or equality operating. Oppressive governments consider such as a dangerous weakness, having the potential to erode their authority. It is the maintenance of control that consumes such regimes, from a psychological perspective totalitarian states exhibit a psychotic attachment to political power, ensured through a range of oppressive measures that generate compliance and subservience from people. The central currency of such governance is fear and violence, lacking, and contemptuous of, democratic accountability such regimes invest considerable economic, political and security resources to ensure a compliant and servile population. Such dictatorship is anathema to the universal values of human rights, civil, religious and political freedoms, it inflicts terror and suffering, promoting injustice, censorship and suppression. Formerly known as the Exiled Tibetan Government the Central Tibetan Administration (CTA) is engaged in an effort to seek reason and compromise from just such a regime, dispatching negotiating teams to Beijing, with proposals that have abandoned Tibet’s just and historic nationhood. Headed by Doctor Lobsang Sangay the CTA is seeking autonomy under communist Chinese rule, however the Chinese authorities consistently and forcefully reject such advances as unacceptable and insist upon a complete capitulation to their demands. Given the tyrannical and expansionist nature of the communist Chinese regime, with its fossilized totalitarian ideologies, such a reaction is utterly predictable. What’s surprising, and a source of growing dissatisfaction among Tibetans, is the determination of Doctor Sangay and his colleagues to persist in efforts to negotiate. Particularly when considering that the political reality suggests only one probable outcome, dangerous compromises from the Tibetan side. Apart from the questionable political wisdom of trying to extract accommodation from a regime like communist China’s (stone and blood spring to mind) there is the broader ethical point of whether engaging in negotiations endorses the tyranny operating inside occupied Tibet. We should not forget that, as former political head of Tibet, in seeking an end to the suffering and cultural erosion of his people the Dalai Lama was acting with the highest of principles and compassion. Yet the fact Tibetan envoys have offered the Chinese regime worrying concessions (and would given a chance concede further) that would extinguish Tibet as an international issue and mean the death of Tibetan national identity, concedes that the tyranny which oppresses Tibetans has been rewarded. There exists among an international community (with a vested and invested interest in maintaining the status quo with China’s regime on the subject of Tibet) support for a peaceful resolution, with Tibetans under Chinese rule with improved cultural autonomy. An objective not desired by Tibetans inside Tibet whose protests make very clear a demand for national freedom! 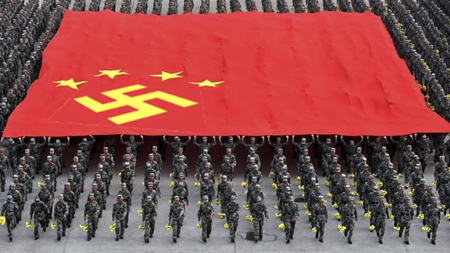 However we cannot escape the reality that communist China is a totalitarian state that terrorizes its own people, and those of occupied lands such as Tibet, East Turkestan, Inner Mongolia and Manchuria. By negotiating with China, and offering such seismic compromises, the Central Tibetan Administration is submitting both legitimacy and support to that regime. Moreover, its preoccupation with securing progress in talks has had a corrosive influence upon its willingness or ability to forcefully criticize China’s catalog of atrocities which have been waged upon Tibetans. Indeed some have observed a distinct dilution of political critique, the emergence of a language that avoids creating negative reactions from Beijing. The illusion being manufactured here is one of two sides participating in a civilized and reasonable discourse, a reasonable effort to resolve some form of internal conflict. Not only is that a gross distortion of the facts, a betrayal of the political struggle operating inside Tibet which seeks independence, not autonomy, but reveals a craven appeasement, designed to encourage the Chinese regime. Yet the unjust and iniquitous nature of Chinese rule in Tibet should invite condemnation and resistance, not collaboration. No analogy is ever perfect of course, and whenever we are exposed to the term Nazi-Germany there is an understandable reaction from some to assert no equivalence can be applied to current totalitarians states, given the unique horrors of that fascism. That well maybe the case. There are however a number of features of communist China’s rule in Tibet which form a disturbing reminder. A crude racism abounds in which Tibetans are seen as backward, uncultured and under developed compared to Han Chinese, while a policy of educational, health and economic Apartheid exists which discriminates against Tibetans in favor of Chinese colonists. Oppression of religion too, where the ideology-of-the-state is forced upon people through violence and intimidation. 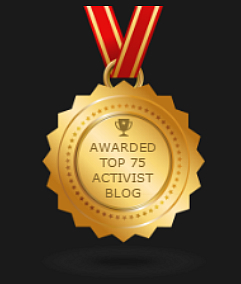 Censorship is endemic with no genuine civil and political rights. Tibetans are denied any fair and independent legal process, with arbitrary arrest common and politically motivated trials. A network of forced-labor camps house untold numbers of political prisoners, where systemic torture and abuse is common. Across Tibet women are subject to forced sterilizations, courtesy of a state-engineered population control policy, a chilling demographic assault upon Tibetans that serves up harrowing memories of Nazi Sterilization Laws. 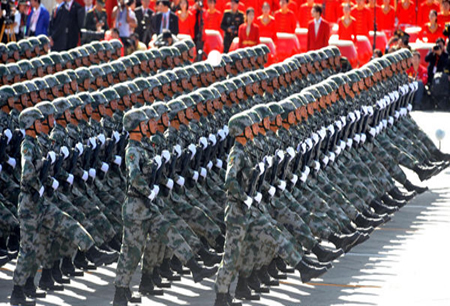 Meanwhile, China’s imperialistic ambitions in Tibet continue as it expands its control and assimilation policies, aimed at removing any trace of a Tibetan national identity. 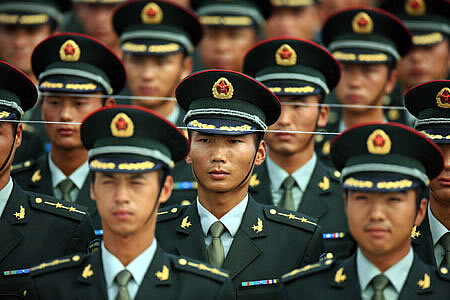 These oppressive measures are very much China’s Final Solution for Tibet. The current initiative to negotiate, by its nature condones, excuses, marginalizes, rewards and justifies the tyranny China has waged upon Tibetans. It is a shameful placation of a regime which is adamantine in its resistance to offer concessions or agreements, and appeases China at the expense of Tibet’s right to nationhood and self-determination, which have been offered up as a political inducement. It is a difficult and painful process to observe Tibetan delegates conspiring with the communist Chinese authorities, issuing sweetened words of support and encouragement for China, offering concessions which trample across the political aspirations of Tibetans. History has shown time and again that appeasing tyranny does not secure greater freedoms or guarantee peace. What is observed by reasonable people as intelligent compromise and political realism, is ruthlessly exploited by authoritarian regimes as political weakness. The Central Tibetan Administration’s determination to negotiate a solution for Tibet may attract praise for its commitment to peace and human values, but within a political sense, the illusory consolation of appeasing Beijing will, as Winston Churchill observed on the 1938 Munich Agreement prove a “total and unmitigated defeat”. 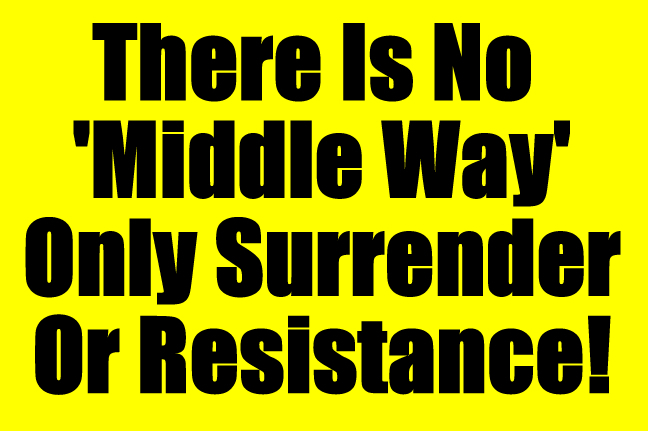 A ‘Middle Way’ Is Not Possible With China’s Tyrannical Regime! How many times must China forcefully reject any prospect of negotiations regarding the proposal of improved or genuine autonomy for Tibet before the advocates of that policy awake from their self-induced delusion that compromise and reason is possible from the Chinese regime? Its State Council Information Office has today emphatically dismissed the likely-hood of discussions on Tibet in a lengthy rebuttal that stipulated any possible talks would focus upon the Dalai Lama and engage only with his private representatives, it contemptuously described the Central Tibetan Administration as “essentially a separatist political group”. So what now for Doctor Lobsang Sangay and his colleagues in the Central Tibetan Administration as they evaluate yet another disdainful repudiation from the Chinese government? The writing has of course been on the wall for a number of years, the message from China’s psychopathic leaders has been consistent, this latest statement is a reaffirmation of that hardline policy. “As the political status and system of Tibet is stipulated by the Chinese Constitution and laws, the ‘Tibet issue’ and ‘a high degree of autonomy’ are not up for discussion”. The stark choice for Tibetans in exile is to either completely surrender to Chinese demands or resist and restore Tibet’s national liberation as the central and unified objective of the Tibetan cause. Tragically however we anticipate that the desperate efforts to reach an accord with the Chinese authorities will continue to determine the response of the Central Tibetan Administration.